During our Christmas home tour, I mentioned that we may possibly have seven Christmas trees. It's true, we do. 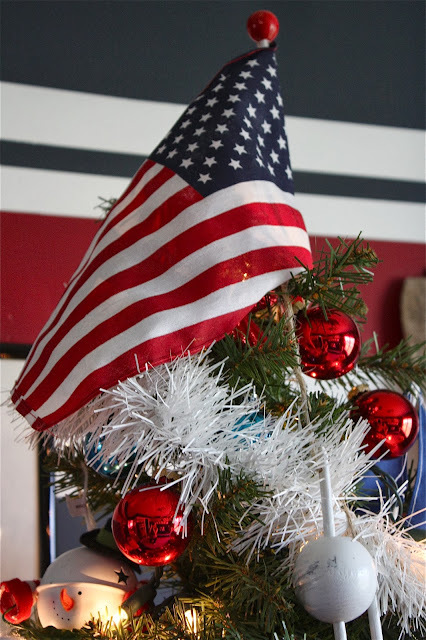 Each of the kids have a tree in their room, we have a tree in the master bedroom (I shared this one the other day), we have a tree in the living room, two small trees in the dining room and one large tree in our lower level family room. Today, I would like to share the boys' Christmas decor. 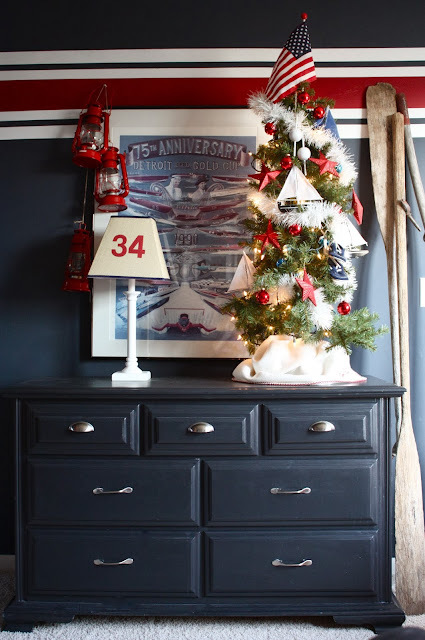 Recently, we updated their room from nautical to a more mature sports theme. At Christmas time, we bring back hints of the boating theme in our holiday decor. As well as some items that have special meaning to us. The tree skirt is my youngest boy's baby blanket. 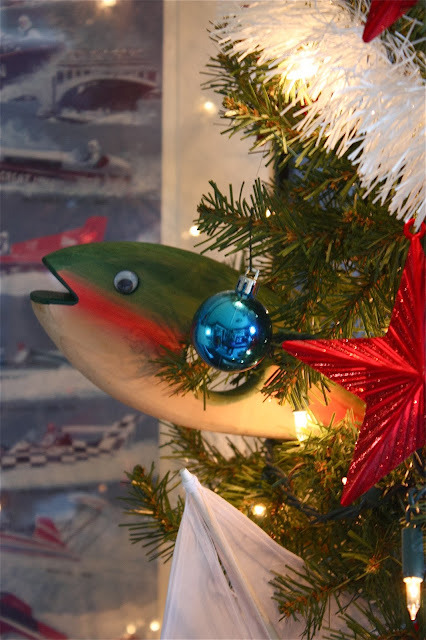 The baby shoes on the tree were my oldest boy's first boating shoes. These little sailboats are from their baby mobile. 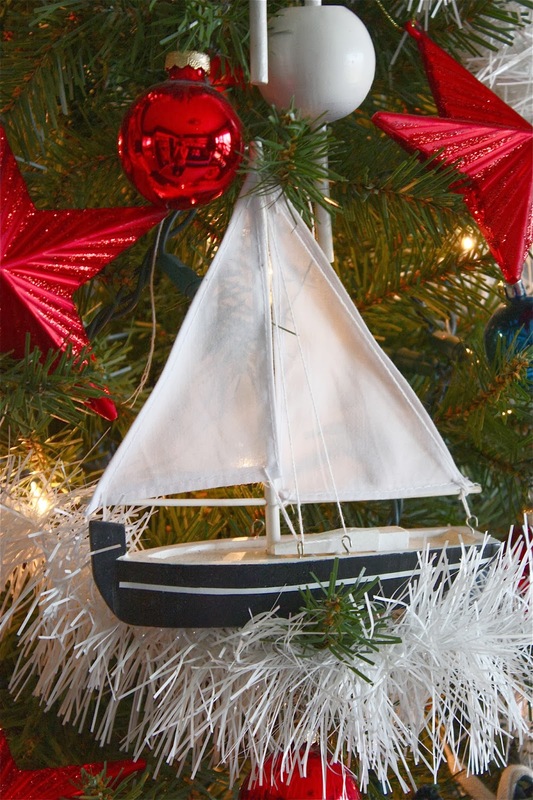 After they outgrew it, I took it apart and kept the boats to use as Christmas tree ornaments. Almost every time we visit a thrift shop together, the boys are on the lookout for new nutcrackers to add to their collection. 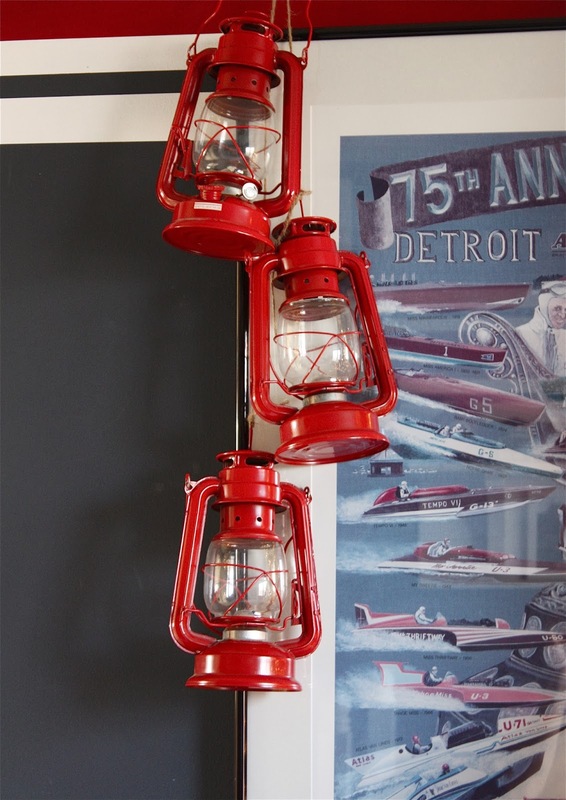 These red lanterns were bought from a discount store camping department. I hung them next to their boat race poster. If you missed our Christmas home tour, you can catch it by clicking here. I realy love your decorating skills! So happy I found your blog. So adorable! My son's baby booties are on our tree too, and I collect nutcrackers! I LOVE everything about this room! !